I am starting to write this blog at home in NYC on Thursday, January 31st. The temperature this morning was 3oF (-16oC) and by early afternoon it went all the way up to 6oF. I started to read the paper and found out that in the Midwest, the temperature went below -50oF. I have a very close relative who is now a student in Madison, Wisconsin. I offered to give her some of my warm clothing that we used in the Arctic but she politely refused. Regardless, our trip to the Arctic served as good preparation for what we have been experiencing here. In this blog, I want to focus on another aspect of the trip, aside from catching sight of the northern lights and investigating the thawing permafrost. 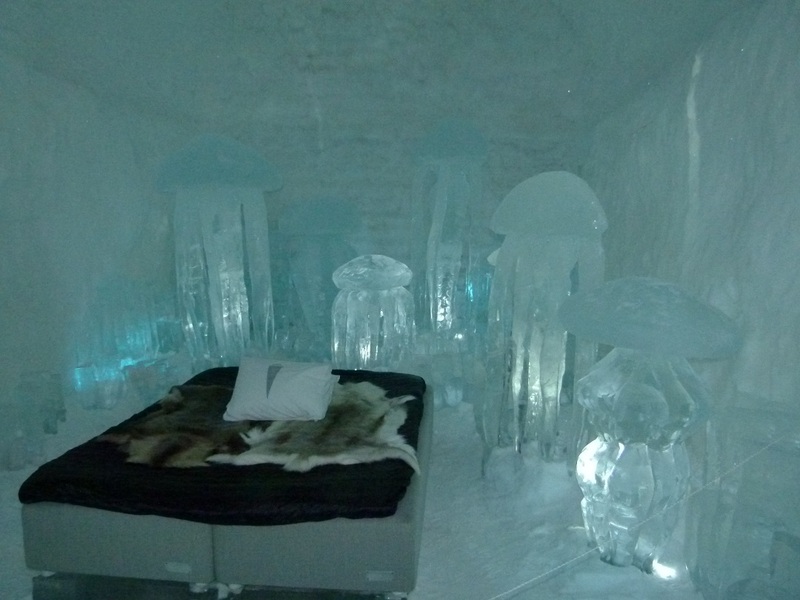 Specifically, we experienced two unique hotel accommodations: the Icehotel and the Treehotel. Both of them are in Sweden; the first is located north of the Arctic Circle in Jukkastarvi (see map in the January 15 or January 22, 2019 blogs), while the second is just south of the Arctic Circle in Harads (100km from Lulea). 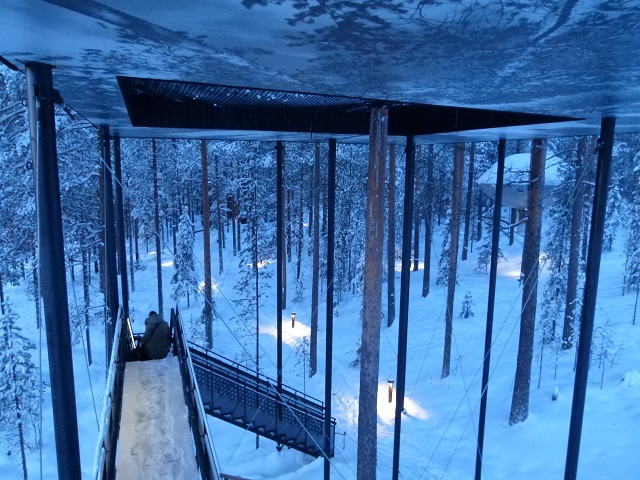 The photographs below show rooms in both hotels (Figures 1 and 2 are from the Icehotel and 3-6 are from the Treehotel). Both places enjoy the distinction of being listed among the most interesting hotels in the world. During our visit, the outside temperature at both locations was well below 0oF (-18oC). 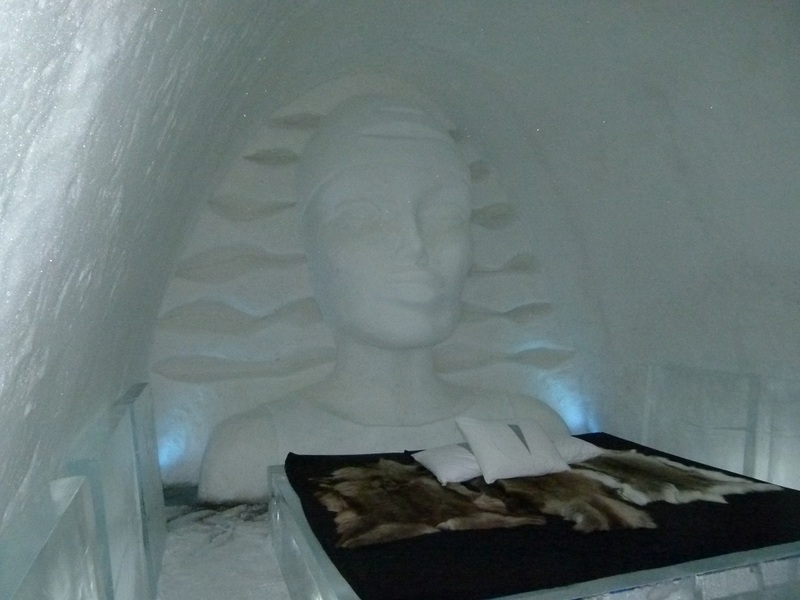 As advertised, the Icehotel is constructed from ice. In January, when we were there, it was well below freezing outside, while the inside was kept at 14oF (-10oC). Sleeping bags were provided (along with warm sleeping clothes) to keep the temperature comfortable and the ice stable. I was OK with this; my wife was less so. Many of the structures are designed to melt in the spring and be rebuilt as the next winter approaches. Rebuilding starts in the late fall, using ice extracted from the nearby river. After it melts, the water returns to the same river. There are global architectural and sculptural competitions each year to design the next iteration. There’s wonderful art in the winter (see Figures 1 and 2). I was surprised to find out that some of the structures—including the one that we stayed in—don’t go through this cycle but remain stable year-round. They accomplish this by keeping the interior at 14oF (-10oC) all year—with air conditioning, when needed. The outside remains stable via heat insulators. These modifications are achieved with a large supply of low-cost energy, 100% of which comes from an array of solar devices. Obviously, these only function when the sun is shining. The Arctic as a region experiences at least one day a year when the sun either never shines (winter) or never sets (summer). 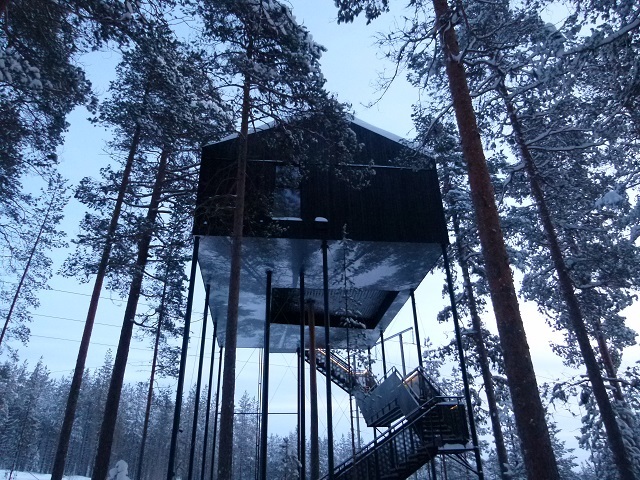 This dependence on a large supply of electricity is even more visible at the Treehotel. 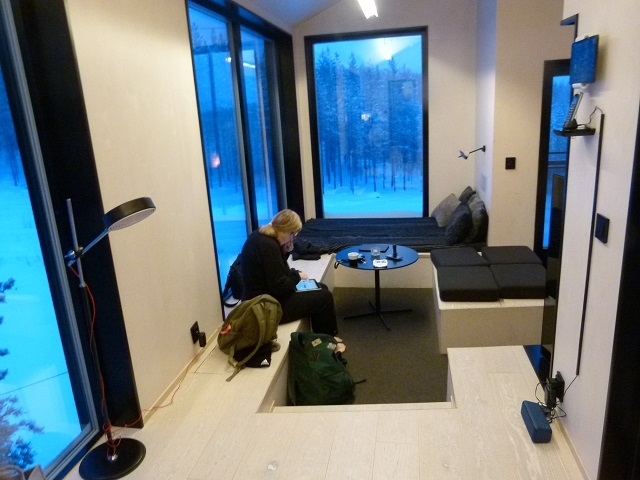 As you can see in Figure 3, the rooms are large and modern. Figures 5 and 6 show how they are anchored to the trees in the forest. 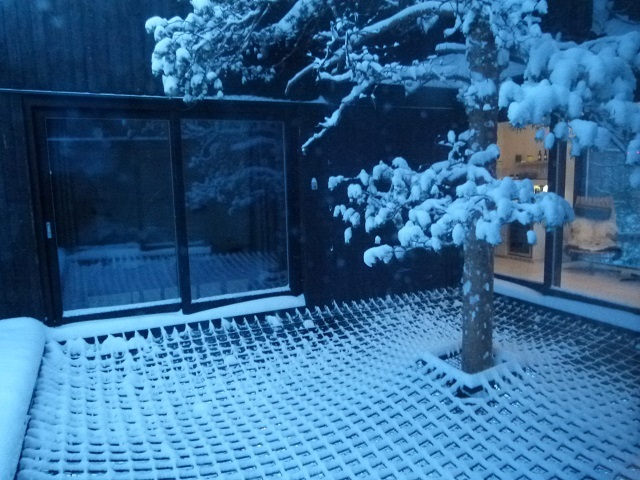 Figure 4 shows a very attractive and innovative tree-anchored terrace through which trees can actually grow. In theory, one could sit or stretch out there and observe a wonderful view; obviously, this is not the case at 14oF. In January, the terrace was locked. When we arrived, they emphasized the toilets—they do not use water for flushing. Instead, you press a button and the waste (confined to a paper bag) gets incinerated at 600oC (1112oF). It works, but not without a few obstacles (we were left to ourselves to navigate those). Globally, such a solution is interesting. Around 60% of the world’s population does not have modern, flushing toilets available and has to use outhouses of one sort or another. One large impediment to improving this percentage is access to sanitary water sources. This proposed solution basically makes even the most modern toilet facilities operate like an outhouse, with no use of water. The idea would put less strain on our predicted increased water stress worldwide but it does necessitate significant amounts of electricity and/or gas. When we were driven from one place to another, often in the middle of a snow storm, I couldn’t escape seeing the many electric cables hanging on the side of the road. I asked the driver how often the cables are affected by storms, with electricity shut down until they can be repaired. The answer was 4-5 times each winter. I asked how the toilets are used in those cases. He replied, “there is a plan B,” but we were never told what that entailed. Meanwhile, to my fellow New Yorkers: enjoy this week’s reprieve from the bitter cold! This entry was posted in Anthropocene, Anthropogenic, Climate Change, Extreme Weather, Sustainability, Water and tagged air conditioner, architecture, Arctic, arctic circle, bathroom, cold, Electricity, freeze, frozen, hotel, ice, ice melt, incinerator, insulation, low cost, melt, outhouse, Polar Vortex, Renewable, sanitary, sanitation, sculpture, Solar, Sweden, Temperature, toilet, tree, Vacation, Water, Water Scarcity, Water Stress, water use, winter. Bookmark the permalink.